At the Immigration Law Office of Los Angeles, P.C., we have helped countless investors start their own business or invest in or restructure an existing one in Los Angeles County and all across the nation. With many years of experience in immigration law under our belt, we can help you navigate the complex EB-5 program and get you started on your new venture in an efficient and cost-effective fashion. With the aid of attorney Scott McVarish and his associates at the Immigration Law Office of Los Angeles, P.C., you can better understand the right path to securing EB-5 qualification for your business in the United States. By calling our office at (310) 683-4516, you can get invaluable insight into your best options in a low-cost, comprehensive consultation with one of our dedicated legal team members. Scott McVarish is a proud member of Association to Invest in the USA (IIUSA), whose primary mission is to make the EB-5 Regional Center Program a permanent and successful part of 21st century U.S. economic development policy. Prepare and file an I-829 condition removal petition. In short, our experienced investor visa lawyers will help you expedite the process and avoid unnecessary delays in order to get your business launched as soon as possible. How Can I Successfully Apply for an EB-5 Visa? As there are multiple qualifications needed to find success in an application to the EB-5 investor program, you will need to have in-depth knowledge both before and during the process. 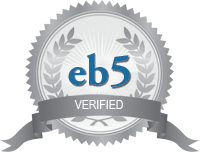 It’s not enough to simply have done all of the actions that would qualify you for an EB-5; you must prove that you qualify. Additionally, hard-to-define terms like "troubled businesses" and "indirect jobs" will need to be proven in order to qualify when these are part of the application. The evidence and records gathered and presented properly by an ILOLA attorney will help you find success in your case and avoid legal complications both now and in the future. The investment needed for EB-5 qualification takes time, effort, and devotion, so should your application. No matter how carefully your EB-5 project is planned out and executed and how great your product is, certain factors, both within and beyond your control, may adversely affect your project. The United States Citizenship and Immigration Services (USCIS) may deny your I-526 or I-829 case, or you may be sent a Request for Evidence (RFE) at a time when you’re struggling to meet the program’s criteria due to the normal ebb and flow any business undergoes, especially startups. Whatever the circumstances, we can use our in-depth knowledge of the EB-5 program and the various case requirements to help you present your business to the USCIS in the most favorable light, and save you valuable time, money, and effort in the process. What Are the Steps to Obtaining a Conditional Green Card? Whatever legal challenges you may currently be facing as a foreign investor, attorney Scott McVarish and the team at the Immigration Law Office of Los Angeles, P.C. can help you. We prioritize our clients’ needs and goals above all else, and can help you achieve your dreams. Call us today at (310) 242-8936 to receive a consultation concerning your rights and legal options and begin the path to future success today. How Can You Get a Green Card as an Investor? Understanding EB-5 Investor Visas: What Counts as "Job Creation"? Understanding EB-5 Investment Visas: What is a Targeted Employment Area?